Discussion in 'iPhone and iPad Games' started by CheesecakeGames, Sep 6, 2018. Run can be fun, healthy, relaxing and even exciting but... it's exhausting! 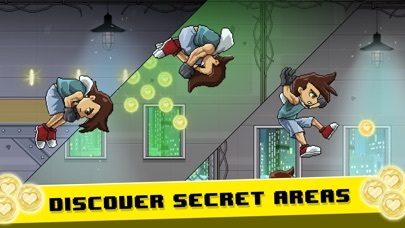 CheesecakeGames support the sport but, for this time, we want to invite you to run from your couch, we're happy to announce our new game for iOS 'The Last Runner', a 2D runner with pixel art aesthetics, a weird mysterious story and an endless game mode only suitable for the best runners. 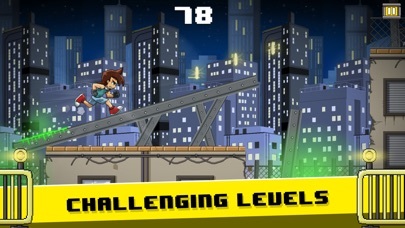 • Story mode with meticulous level design. • Challenging endless mode with +60 combinable screens. 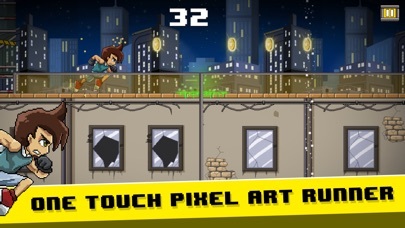 • Modern pixel art style with combinable assets. • Competitive game center hi-score. 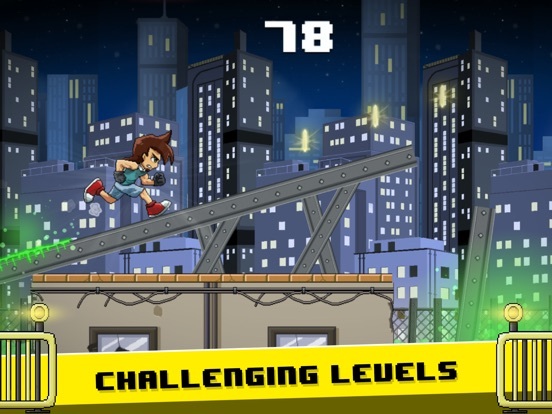 A fast runner that you can play with one hand, tap or double tap to overcome obstacles in your way! 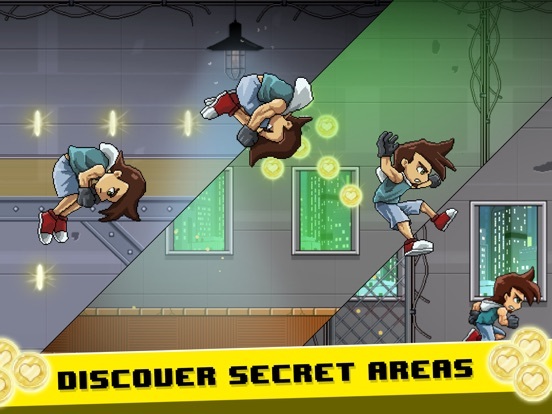 Ray, our hero, is an experienced runner with parkour knowledges. He was born in Cat Town 18 years ago, but today that town is not the same. Now it's an abandoned place, dangerous, with radiactive waters and infected cats... But Ray is a great runner and adventurer (a bit opportunist), he knows about Cat Town's treasures, there's a lot of coins and hidden treasures and he's ready to collect it all! 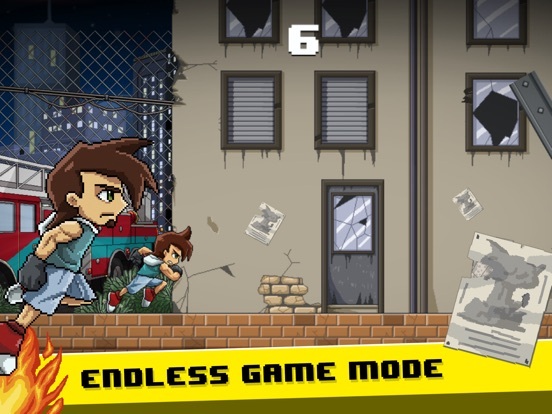 Run like a thunder and collect as many coins as you can, play the story mode to train yourself and try to beat your best score in the endless game mode. 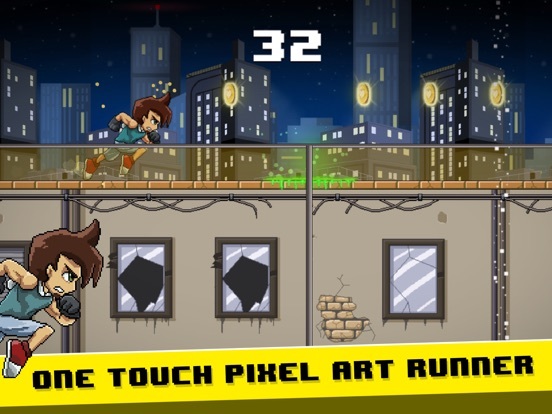 Compete against other runners in the hi-score leaderboard and improve your reflexes in this one touch pixel art runner game. Good luck and enjoy running! Features: . Story mode with meticulous level design. . 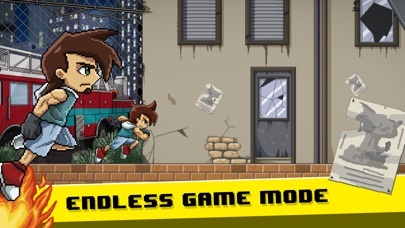 Challenging endless mode. .	Secret areas with a lot of coins! . Different paths to complete most of the areas. . Original soundtrack with great action music. .	Modern pixel art style. .	Super-simple one touch controls. .	Game center Hi-Scores. 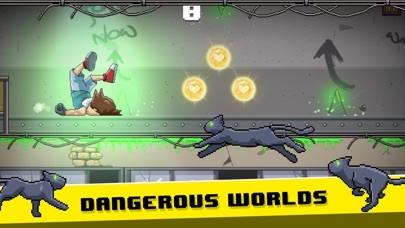 I'm proud to let you know 'The Last Runner' iOS is now freemium, hope you can download and enjoy it! And freemium for those who previously owned it with no way to remove ads without rebuying it. Nice. Please, if you bought the premium version write me with the appStore receipt and I'll send you a promo code to remove ads. Only a few people bought the premium version, but for me are really important as they trust on my game from the beginning and I don't want to make them buy twice, I'm anouncing the fremium version first to promote the game, but also to let the buyers know about this situation to restore the purchase, I have promo codes to remove the ads and is no needed to rebuy the game, unfortunatelly I don't have the buyers contact so I expect to receive their mails after my anouncement of the freemium version and I'll provide them with a promo code to remove all the ads forever. I did it with two players today, I only ask them to write me with the appStore receipt. Please Anthony if you bought the premium version write me and I'll be happy to send to you the promo code.